Violetta Małek – experienced CFO and Business Services Sector expert, has almost 20 years of experience in financial and business management. Co-founder and managing partner of management consulting firm Gekko advisoryNOW. Former KPMG Director, Shared Services & Outsourcing Leader, who prior to KPMG worked for McCormick where she led development of their shared accounting centre for EMEA region. Earlier, she held responsibility for design and implementation of PwC’s internal shared accounting services centre in Northern Cluster (Poland & Baltics). Violetta also held the role of finance director of Avon Cosmetics Poland & Nordic with oversight of their EMEA SSC operation and finance director of both TNT Express Worldwide and Abbot Laboratories, Poland and England. Szymon Stadnik – Director of Business Service Center of Swiss outsourcing group FRISTA. Board member of FRISTA RETAIL BUSINESS CENTER SP. Z O.O. Responsible for leading international center in Warsaw, which provides BPO services in area of Finance and Accounting, Administration, IT and Customer Service. Holds extensive experience in managing multicultural teams. Created new Shared Service Center for Tally Weijl group in Warsaw. Has many years’ experience in the role of CFO for Eastern Europe. Worked 5 years in KPMG as auditor. Started career as analyst in Unilevel group. Polish Chartered accountant, ACCA Affiliate. Wiktor Doktór – CEO of Pro Progressio – the organization supporting business growth in Poland with special focus on modern business services sector including such areas like BPO, SSC, R&D, Call Contact Center, etc. He cooperates with Polish and international companies and public sector institutions and ensures that the BSS sector develops quickly and efficiently in Poland and Europe. Wiktor is a founding member of the Emerging Europe Alliance as well as a member of the European Outsourcing Council. He also holds the Country Head position for the German Outsourcing Association. Łukasz Dekier – Partner/Project Manager at ASD Consulting, PhD in Economics. For many years he has been passionate about methods of process optimization, such as Lean Management, Six Sigma, MTM. Author of many reviewed articles, in which he describes the tools and methods of process optimization – 5S or balancing the production line. Experienced academic lecturer and speaker at numerous conferences. Jacek Kozłowski – Partner/Project Manager at ASD Consulting, PhD. Engineer. He gained his professional experience by implementing research and development projects for the largest companies in the world by using the Six Sigma methodology in the production and service environment. His scientific interests include use of artificial intelligence in business processes. Artur Jakubiak – a long-term HR director in Polish and international enterprises with over 17 years of experience in the HR area. His key competences cover the full spectrum of HR processes, ranging from recruitment to exemption programs for former employees, as well as resource planning and budgeting, C & B and L & D, reorganization, optimization and human resource development. Piotr Rutkowski – Managing Partner of SourceOne Advisory, for nearly 20 years associated with the sector of modern technologies and the outsourcing industry. He specializes in consulting in the field of business process outsourcing, sourcing strategies and support of purchasing processes. He is the author of numerous publications in the field of outsourcing. Author of KPI-BLOG. Expert of the Pro Progressio Foundation. Permanent associate of Outsourcing & More and Outsourcing Portal. A long-time lecturer in the field of outsourcing, sourcing strategies and renegotiation of contracts. Agnieszka Bieńkowska – co-founder and managing partner of Gekko TAXENS. Agnieszka is a tax advisor with over 20 years of experience in EY and as a Partner in one of the largest Polish tax consulting companies. 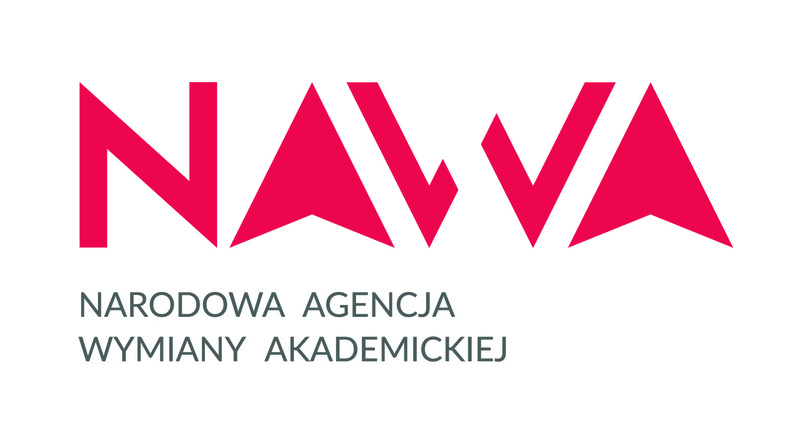 Recognized by International Tax Review as one of the leading advisors in indirect taxation in Poland. Author of numerous tax publications, a respectable trainer and lecturer. Sylwester Pietrzyk – doktorant, praktyk, właściciel ASPEKT HR od 2006, posiadający Międzynarodowy Certyfikat Trenera Zarządzania (2000), absolwent Podyplomowych Studiów Zarządzania Zasobami Ludzkimi w Szkole Głównej Handlowej (2005), obecnie Trener szkoły Trenerów w IBD Business School. Uczestnik szkoleń trenerskich w prowadzonych przez CTI w Londynie, i przez In Dialogue w Kopenhadze (2017), uprawnienia na Asesora i Doradcę w procesach certyfikacji szkoleniowców (2016). Posiada doświadczenie w zarządzaniu jednostkami biznesowymi (sektor finansowy spółka brytyjska notowana na giełdzie w Londynie) kierownik projektu, kierownik zespołu sprzedażowego, trener wewnętrzny, dyrektor zarządzający) oraz Ministerstwo Finansów (specjalista). Specjalizuje się w szkoleniach z zakresu Train the Trainer, zarządzania zespołami, prowadzenia prezentacji i wystąpień publicznych. Autor kilkuset artykułów w Personel i Zarządzanie, HBR i Benefit. Przeprowadził ponad 2500 dni treningów i warsztatów, z których otrzymuje bardzo wysokie oceny.